Discussion in 'Friends and Family' started by newsmanfan, Apr 23, 2017. Have you established websites for your shows outside of YouTube? I've looked into alternatives, but they all have their own flaws as well. Dailymotion has become just as bad - if not worse - at deleting content as YouTube, and I think DM is really taking advantage of the fact that a lot of people have been migrating to them from YT; DM is also even worse about commercials on videos than YT. I've also looked into Veoh and Vimeo, and as I recall, both had limitations that YT did away with years ago, such as time limits, and file size limits. MrsPepper kept suggesting blip.tv to me for years, but they're long gone now, so I guess that doesn't matter anymore. Wow, that's a couple of great dreams! It's doable. I'm fairly sure you could fund a trip just for research purposes for less than $20k; try indiegogo or gofundme. With research in hand, you could make a pitch to an entity with better funding for the actual documentary. Does AUS offer art or film funding like the NEA does here? Funding for an arts project is extremely hard thing to get a hold of in Aus, but I like the idea of starting a fund so I could do some more research. Man, where do I begin? I dream a lot of things but my dreams change all the time, especially when things don't go the way I hoped and that is the way of life. But here's a few dreams I still have. Learn Japanese. This is pretty much a childhood dream. I've always loved East Asian culture and I'm just drawn to Japan for some reason. I'm not as super obsessed as I used to be (or even most of the internet) but I listen to enough Babymetal and watch enough Super Sentai and English/Japanese Youtubers to recognise a few words and phrases. Admittedly, it's still a lot to learn and I have no idea where to start with reading and writing but yeah, one day. Visit Japan. Pretty much all of the above. I love the culture, I want to try more of the food, experience the lesser known places, what can I say? I love that country, I wanna go. Visit America. Well, I know it's not perfect, especially since that twit you call a president is in charge but still. I've seen so much of it in the media and I want to see for myself is true and what the people are like. Also, I have so many online friends live there and it would be a dream to finally meet them. Research my family history further and find long lost relatives. I know most of my mother's family history thanks to a art project I did a couple of years back. I unfortunately don't know much of my dad's side, mainly because it's so much bigger but I want to learn more about them, especially since my Granddad died before I was born. Also, on my mum's side, my great granddad was one of nine children and his siblings had kids and so forth. My grandma said they all moved to Canada or Australia but she lost contact with them years ago so I'd love to find out what happened to them. Get a scholarship. I have been painting for a long time but I've always done things the way I see fit. Recently, my tutors have been giving my pointers for my current project and one of them even does a painting class. So they've really inspired me to want to study and train as a professional painter, learn all the techniques and become better. It's a passion and it would be amazing to charge people for commissions or have paintings shown in galleries and exhibitions. Get a job. Yeah, I know it's not much of a dream compared to what I've listed but I've never really had a properly paid job. Just voluntary and work experience jobs. My sister have been lucky to have had paid jobs because our dad works in farming. However, since I wouldn't be caught dead rouging for blackleg in a potato field, I haven't been so lucky. Right now, I'm getting help with getting a summer job, since I have roughly three months holiday coming up. newsmanfan and MikaelaMuppet like this. You're a painter?! I didn't know that! Do you happen do have a website where you have your paintings displayed or something? Because I would love to see them. By the way, painting is my favorite media of art! I was working on a story & had asked a (then ) friend of mine to co author it ( we were working on it Online together but lived in different states .) So once it was done ,I wanted to put it on a disc & put mini biographies about the 2 of us, . All of a sudden I stopped hearing from him! We'd been friends and me asking for a mini bio from him broke up our friendship?! What the hey? I mean it would have been nice if this book could have been published, you know! I'm sorry he seems to have lost interest in the project, or was too shy to want his bio out in the world. However, what about completing the book yourself? You can always keep his name in the co-author spot if you feel his contributions deserve it. Welp, i'm gonna do what i've been wanting to do my whole life (and what I have been doing to a certain extent) and that's drawing, writing, puppeteering, and building puppets. Very recently, I started building the first puppets i've done since I was nine. I hope to start making puppet content on Youtube sometime this year, puppeteering, writing my own scripts, etc. It would be great to find another puppeteer to work with me though. I also want to become a Muppeteer one day. Probably not a full time performer, but one of the guys they call once or twice a year whenever they need extra performers. Another related goal I have in life is to one day be a Muppet writer, like @JimAndFrank said. I'd really love to write for a Muppet movie one day (Hey, maybe we can write it together, JimandFrank ). 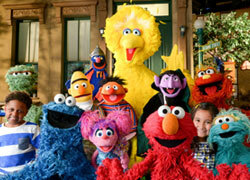 I also want to write for Sesame Street, as well as a SST movie (which i'm currently working on the plot for). 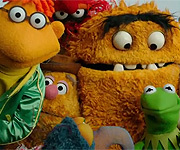 Also, i'm thinking about starting a blog soon- there really should be more Muppet related blogs out there. And hopefully i'll be submitting an article to JimandFrank's blog soon. Meanwhile, i'm working on a web comic/ graphic novel about a twelve year old girl's encounter with aliens. Hopefully I can finish that within the next few months, if I ever get past this first chapter . I've got a lot of ideas for it, hopefully the plot doesn't end up being too unfocused. It's currently taking up much of my free time. I'm not exactly sure where I should post it when i'm done, but i'll cross that road when i'm actually done. Storyboarding on an animated TV show would be nice too. Basically, the only thing standing in my way of accomplishing these goals is the internet. I mean, it's helpful and all. You can learn almost anything and improve your writing skills, puppeteering skills, or any other skill you have or want to gain by using the internet. But it's also the most distracting place ever. Does this sound familiar? :"I'll finish writing this page, but first i'll watch just one more video" Five hours later, "Oh well, I guess it's time to go to bed...but first let me check my Facebook". It's a vicious cycle that never ceases to ruin my productivity. Ha! Yes, I stay away from online while I'm actually writing, unless I need to fact-check or research something...and then I have to be very strict about NOT wandering off to another topic or chatting/tweeting/watching videos. Those are for breaks. The graphic novel sounds fun! If you're worried about focus, maybe spend some time working up a full story arc or plot synopsis, so you know where your tale needs to go next? What about uploading them to a cloud server, as is? I have a friend who posts his podcasts directly to gdrive and anyone can download and listen without having to go through iTunes, etc. Would that work for video files? You could post them as .mkv or .avi, either of which can be played by any system. Those are all potentially achievable. YOU CAN DO THE THING! The ALittleMayhem World Tour: possible. That one will take a bit of cash, but still possible. If you can combine the trip with a work visa, all the better (and that's "get a job" sorted as well)! Painting: excellent! Do you have a particular style you prefer? Do you combine several traditional styles (aka postmodernism, or post-postmodernism)? Never been a fan of cloud servers. And it seems like a lot of them only give you X-amount of space before they tell you to upgrade to a payment plan for more. As for .avi, they give you terribly, terribly distorted video quality and tinny/metalic-sounding audio (see pretty much any Season 5 or 6 episode of Steve D'Monster). This was over 15 years ago & I had put the story on a floppy disc . (now those things are obsolete . ) I guess it wasn't meant to happen. Oh well...when life gives you lemons,make lemonade! Ah, floppies, I knew them well. . . . In a way, I can almost say the same thing for CD-ROMs: they were usually my primary source for backing things up to preserve my master files, but now I use USB flash drives and portable external hard-drives. Thanks, since I wrote that post, i've actually gotten pretty far in terms of plotting the story out, eliminating certain plot lines and characters, and making sure I have a clear message and arc. I wasn't originally going to do a sequel but I have so many ideas I want to use, if all goes well with this first story than I may do another one. well, i first have to accomplish my first goal, which to leave this small sad little town of mine, and leave my non supportive negative mom, my lazy fat dad, and my dumb sisters, who everybody that i know thinks that they are so great. everyone in this little lame town of mine, thinks that babies, bills, and a no where dead end job, is a way of life, they dump on the ones, who don't have an no where dead end job, well not to their faces, but behind their backs, and heaven forbid that you are practical with money, they will call you stingy. i not just want to leave my so called hometown, i want to leave out of my home state also. my dreams are, that i want to become a boutique owner, and be a host of a show,like a Martha Stuart type show, and maybe be in a few movies, and do a few commercials,and perhaps be in a Muppet movie . I have a Facebook page. The only reason I made it was for a class in my college corse which is teaching us the more business side of art but I am planning on continuing with it after I'm done with my degree. Somehow I can't click on the link. I assume you've already begun shopping your book to publishers? Way back when the story was only a handful of random pages, no plot yet, just a flash of an idea, Christopher Cerf got a look at them and asked "Do you have a publisher yet?" "No, it'll be a while before it's done". And handed me his business card. This is like having a Wonka Golden Ticket in my hands. For those of you who don't recognize the name, Christopher Cerf was largely responsible for the merchandising of Sesame Street, created this pilot for a Sesame knockoff called "Between the Lions", and his father started a little fly-by-night backroom publishing racket called Random House. A couple years ago when the book was finally taking shape, I trekked to Manhattan, just on a whim, to see if he was home to show him my work in progress. Walked 20 blocks to his house on East 62nd Street (Big purple front door. Can't miss it). Alas, he wasn't home. But at least I know the way. The story has changed radically since its humble beginnings. I'll still follow up with the elusive Mr. Cerf, and if Random House isn't the best publisher for my book, he must know a friend or two. Same. Might be a mobile issue. I'll check again at home. I'm aware of needing a business partner , i learned that in my fashion business class. along with the other steps of running a boutique, and i know that you have to be very careful when selecting a business partner, because the person that you select may be crooked. BTW you are not knocking my dream, by telling me that, even if I'm aware of needing a business partner, i thank you for pointing that out . Well, my biggest one is to work in an animal shelter or animal rescue organization in a clinical setting taking care of animals until they get adopted, but working in a boarding facility right now might be a stepping stone to that ultimate dream. Travel to Ireland, I'm Irish on my mom's side. I've been watching videos on YouTube from a PBS series called "Rick Steves' Europe" and learning so much about different European countries including Ireland. It's such a beautiful country. And if I happen to try one of those Ancestry DNA tests, it'll be so cool if I find out I have relatives that live there. Visit an animal sanctuary called Best Friends Animal Society in Utah. I admire everything that they do for animals especially after Hurricane Katrina and Michael Vick. Just visiting that place will be icing on the cake for me. newsmanfan, MikaelaMuppet and scooterfan360 like this.